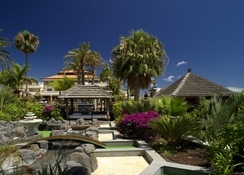 Tenerife in the Canary Islands is a home to the Regency Country Club, located in Chayofa, an exclusive area close to Cristianos in the south. 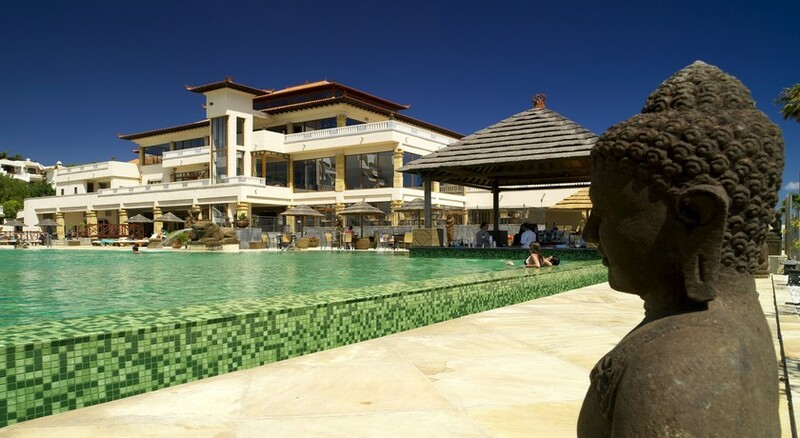 The resort is set in lovely gardens and styled with a theme derived from exotic Bali, with marbled floors and elegant furniture, natural stone and hand-carved statues, creating a calm ambience for the Hotel Regency Country Club. There are a range of attractive apartments to suit your party size-plus fine dining and great pool areas, and attentive service to ensure your stay is comfortable. Guests staying in the hotel can easily access several attractions, all of which can be booked at reception, e.g. Jungle Park, Aqua Land, Mount Teide, Santa Cruz etc., and for the evening: Castillo San Miguel, and Exit Palace, both with spectacular shows. The Regency Country Club is all about the chance to relax and unwind - book your prime space now and look forward to recharging your batteries in style. 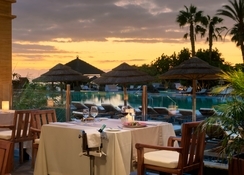 The Hotel Regency Country Club is conveniently situated in Chayofa, Santa Cruz de Tenerife, Spain. The Tenerife South Airport is the nearest airport at 15.9km. If you are looking to stay in uncompromising luxury, then the Hotel Regency Country Club is for you with plentiful room categories to choose from. The rooms are categorized as One-Bedroom, One-Bedroom Solarium, One-Bedroom with Jacuzzi and Solarium, Two-Bedroom, Two-Bedroom Poolside, Three-Bedroom and Four-Bedroom. Each room has all the necessary amenities that will give the guests a feeling of home-away-from-home. Some of the amenities in the rooms include central air conditioning, ceiling fan in the bedroom and sitting room, telephone, safe, bathrobe, toiletries, hairdryer, iron and ironing board, satellite TV, CD/DVD player and free internet access. The hotel houses a main restaurant and cocktail bar and a snack and cocktail pool bar. The restaurant offers abundant and varied hot and cold delicacies, for all the nationalities and tastes. On the other hand, the Snack and Cocktail pool bar is positioned on the edge of the pool to serve the guests with snacks and drinks after a tiring swim. 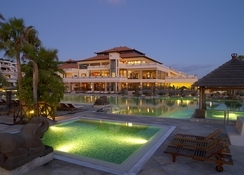 The pool bar offers a menu that will satisfy the carvings of all the guests. Some of the items it offers include sandwiches, meats, pastas and tapas. 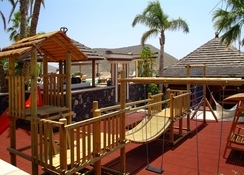 The hotel offers abundant sports and leisure facilities to keep guests of all ages engaged. Some of the facilities include mini-golf, playground and kids club, play area with chess boards, pool tables, petanque, darts, table tennis, sauna and Frisbee golf. 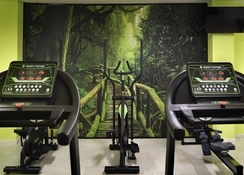 Those who want to maintain their fitness level can leverage the hotel’s gym with high-tech equipment’s. there are two outdoor swimming pools for adults and one for children, where you will also find sun loungers dotted across the pool.